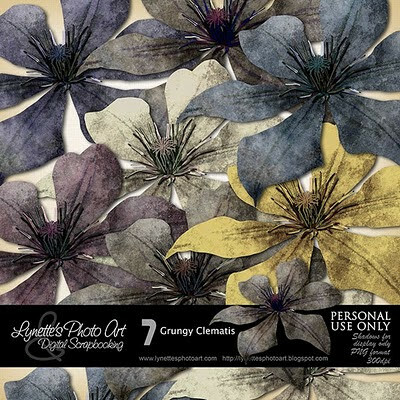 Grungy Clematis is a rich collection of seven highly detailed clematis blossoms I have painted. I just love these! Each is 3.75" across and easily resized. Click image to enlarge. Click Buy It Now Button below the image to purchase from my PayPal Store for $2.99. Today I'm giving you a variation of this flower done to co-ordinate with my Pop Fun Kit - enjoy! On the freebie I used a free pattern I got and don't know who to credit - sorry and thank you - it's great! What wonderful colors! Thank you.